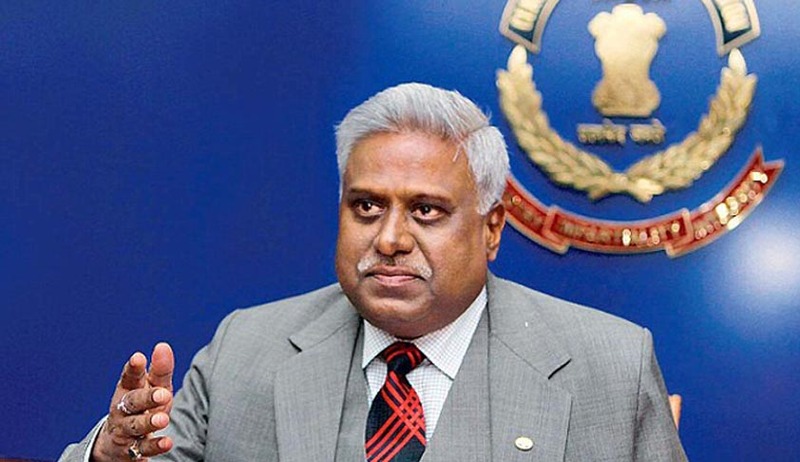 The bank details of persons who had visited the official residence of former CBI chief Ranjit Sinha who according to the court had prima-facie scuttled the probe in the coal scam cases will be examined, CBI’s Special Investigation Team told the Supreme Court today. “Substantial progress has been made in the investigation and its scope has been widened”, R S Cheema, the SPP told the bench of justices A K Sikri, Madan B Lokur and Kurian Joseph. But the bench was not happy about the tardy pace of probe. “You have given us 11 reports of Enforcement Directorate (ED) and 18 reports of CBI. We must say, the progress in the investigation has been slow. Even today, when we see the 18th report of CBI, it says one case in pending”, it said. SC had in January last year constituted the SIT headed by the CBI director to look into the prima facie allegations against Ranjit Sinha of trying to influence the probe in coal scam cases. During the hearing, Cheema told the bench that visitors at the former CBI chief's house were more than what was there in the visitors' diary maintained at his official residence and its probe was going on. Sinha suffered a setback in April last year when the Supreme Court dismissed his plea seeking recall of its earlier order constituting an SIT to probe the allegations of prima facie scuttling the investigation in coal scam cases. The bench had said there were no reasons to recall the order of January 23 last year in which the apex court had observed that a prima facie case was definitely made out for probing allegations of abuse of authority by Sinha when he was the CBI Director. “We do not find any reasons to recall our order. The application is dismissed”, the bench had said. In a major development, the Supreme Court had on January 23 ordered CBI probe against Sinha for allegedly abusing his position to favour several accused in the coal scam and also for trying to influence the investigation. “We are prima facie satisfied and convinced that Ranjit Sinha had abused his position and authority as CBI Director”, the bench had ruled. The bench had asked CBI Director Aloke Verma to impartially probe Sinha’s role with “due earnestness” . Verma has been asked to constitute a SIT to probe Sinha and also to take the Central Vigilance Commissioner in confidence while conducting the probe. The CBI Director has also been asked to suggest composition of team and time within which he can complete the probe.